Aligned ZnO/Cu2O core-shell heterostructure nanowire arrays were synthesized by electrochemical depositing process. The morphology, microstructure, chemical composition, photolumiescence, IV characteristic and photoelectric properties of the synthesized heterojunction samples were analyzed by means of various testing instruments, respectively. The results show that the depo-siting time and voltage are the key factors for the fabrication of ZnO/Cu2O heterojunction arrays. The SEM images show the Cu2O shells are comprised of single-crystalline numerous nanoparticles with a thickness of around 15 - 25 nm. Compared with the pure ZnO nanowire array, the photolu-minescence intensity of the purple light peak in ZnO/Cu2O heterojunction arrays was eliminated, but the green light peak was increased with the increase of deposition voltage and deposition time. Meanwhile, the red shift phenomenon of 20 - 30 nm is observed at the green peak. An improved photoelectric property of ZnO/Cu2O heterojunction samples is demonstrated. 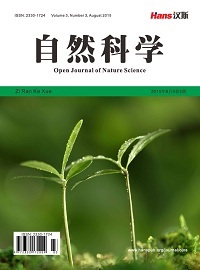 Diao, K.D., Xiao, J., Zheng, Z. and Cui, X.D. (2018) Enhanced Sensing Performance and Mechanism of CuO Nanoparticle-Loaded ZnO Nanowires: Comparison with ZnO-CuO Core-Shell Nanowires. Applied Surface Science, 459, 630-638. Kim, K., Song, Y.-W., Chang, S., Kim, I.-H. and Lee, S.Y. (2009) Fabrication and Characterization of Ga-Doped ZnO Nanowire Gas Sensor for the Detection of CO. Thin Solid Films, 518, 1190-1193. Wang, R.-C. and Lin, H.-Y. (2010) Simple Fabrication and Improved Photores-ponse of ZnO-Cu2O Core-Shell Heterojunction Nanorod Arrays. Sensors and Actuators B, 149, 94-97. Perng, D.-C., Chen, J.-W., Kao, T.-T. and Chang, R.-P. (2013) Cu2O Growth Characteristics on an Array of ZnO Nanorods for the Nano-Structured Solar Cells. Surface & Coatings Technology, 231, 261-266. Zhang, J., Li, M.K., Yu, L.Y., Liu, L., Zhang, L.H. and Yang, Z. (2009) Synthesis and Piezoelectric Properties of Well-Aligned ZnO Nanowire Arrays via a Simple Solution-Phase Approach. Applied Physics A, 97, 869-876. Espinos, J.P., Morales, J., Barranco, A., Caballero, A., Holgado, J.P. and Gonzalez-Elipe, A.R. (2002) Interface Effects for Cu, CuO, and Cu2O Deposited on SiO2 and ZrO2. XPS Determination of the Valence State of Copper in Cu/SiO2 and Cu/ZrO2 Catalysts. 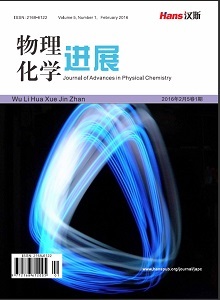 The Journal of Physical Chemistry B, 106, 6921-6929. Perng, D.C., Chen, J.W. and Kao, T.T. (2013) Cu2O Growth Characteristics on an Array of ZnO Nanorods for the Nano-Structured Solar Cells. 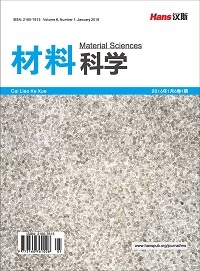 Surface & Coatings Technology, 231, 261-266. Cheng, K., Li, Q.Q., Meng, J., Han, X., Wu, Y.Q., Wang, S.J., Qian, L. and Du, Z.L. (2013) Interface Engineering for Efficient Charge Collection in Cu2O/ZnO Heterojunction Solarcells with Ordered ZnO Cavity-Like Nanopatterns. Solar Energy Materials & Solar Cells, 116, 120-125. Hsueh, H.T., Chang, S.J., Hung, F.Y., Weng, W.Y., Hsu, C.L., Hsueh, T.J., Tsai, T.Y. and Dai, B.T. (2011) Fabrication of Coaxial p-Cu2O/n-ZnO Nanowire Photodiodes. Superlattices and Microstructures, 49, 52-580.